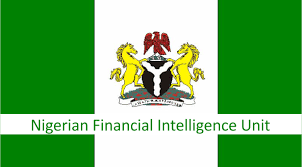 The Nigerian Financial Intelligence Unit (NFIU) is the Nigerian arm of the global financial intelligence Units (FIUs) domiciled within the EFCC. The NFIU seeks to comply with international standards on combating Money Laundering and Financing of Terrorism and proliferation. The establishment of the NFIU is based on the requirements of Recommendation 29 of the Financial Action Task Force (FATF) Standards and Article 14 of United Nations Convention Against Corruption (UNCAC). The Egmont Group is the global body responsible for setting standards on best practices for FIUs and is made up of more than 131 FIUs from 131 jurisdictions. It was founded in 1995 to foster international collaboration in the exchange of intelligence by member states. It also supports and influences the work of FATF as it relates to the mandate of FIUs under FATF Recommendations 29 and 40. The NFIU was admitted into the Egmont Group of FIUs in 2007 and also sponsors other African countries to also be members of the Egmont Group. · Receive currency transactions reports, suspicious transactions reports, currency declaration reports and other information relating to money laundering and terrorist financing activities from financial institutions and designated non-financial institutions. · Receive reports on cross-border movement of currency and monetary instruments. · Maintain a comprehensive financial intelligence database for information collection, analysis and exchange with counterpart FIUs and law enforcement agencies around the world. · Advise the government and regulatory authorities on prevention and combating of economic and financial crimes. · Provide information relating to the commission of an offence by entities and subjects linked to another jurisdiction to foreign financial intelligence unit based on the membership of Egmont Group or on the basis of bilateral cooperation. · Promote public awareness and understanding of matters relating to economic and financial crimes, money laundering & financing of terrorist activities. · Liaise with compliance officers and ensure strong compliance culture by reporting entities. Though the NFIU was under the EFCC, the Senate on Wednesday, 7/3/2018, passed a bill to make Nigeria’s Financial Intelligence Unit (NFIU), currently under the Economic and Financial Crimes Commission (EFCC), totally independent. The Egmont group had threatened to expel Nigeria permanently by March 11, if the Nigerian government failed to grant the unit the autonomy it required to be a member of the EGMONT group. The NFIU was in July 2017 suspended by the Egmont Group of Financial Intelligence Units for allegedly not being independent. The group reportedly demanded autonomy for the NFIU as a condition for the suspension to be lifted. A major disadvantage of the NFIU not being autonomous is that it would affect Nigeria’s global corruption and financial rating. Now that the NFIU has been granted autonomy by the Senate, all that remains is for President Buhari to sign same into law.